Since my children have been studying Greek mythology in their literature class, I decided to make a list of everyday references to mythology. There are so many to choose from! The Titans were the elder gods. 2) Achilles heel (your weakness or your Achilles tendon). When Achilles’ mother dipped him in the River Styx to cleanse him of his mortality, the only spot that was left vulnerable was his heel where she held him. 3) Atlas (a book of maps and several travel and moving companies). Atlas was a Titan who carried the weight of the world on his shoulders. 4) Ajax (a popular household cleaner). Ajax was a Greek hero of the Trojan war. 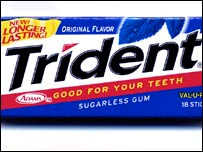 5) Trident (a popular brand of chewing gum). The trident was the three-pronged spear of Poseidon. The Amazons were a mythological race of warrior women. The River Styx, also called The River of Oaths, was the river the souls crossed in order to reach the Underworld. Everything King Midas touched turned to gold. 9) Nike (athletic shoes, although I don’t want to support them since seeing their most recent commercial which I hope is pulled off the market). Nike was a winged goddess who could run and fly at great speeds. 10) The Olympics (world-wide competition, you might have heard of). Named after Mt. Olympus , home of the gods, and the Olympians, the 12 main gods and goddesses of Greek mythology. Apollo was the Greek god of music, prophecy, and light. 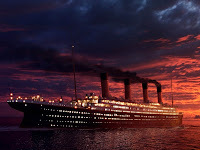 12) Poseidon (travel company, seafood company, but also the name used in a few movies such as The Poseidon Adventure [the original 1972 film] and Poseidon [the imitation remake of 2006]). Poseidon was the god of the sea. Psyche was the Greek goddess of the soul who was loved by Cupid. This is really a great myth, if you’ve never read it. Click here. Click here for more Thursday Thirteen! I like the one about Achilles! That was very interesting. Great tt Diana. This is so cool. I love Greek mythology. Thanks for sharing these. Makes me want to read more about this subject. I love all the Greek mythology! Very cool!